CREATE YOUR OWN MAKI MASTERPIECE AS RED KIMONO TURNS 5! From delectable classic makis to the most exceptional flavours, Red Kimono continues to bring together superb modern and traditional elements of Japanese cuisine. As it turns 5, they Go Red and celebrate big with one of this year’s most exciting culinary challenges! 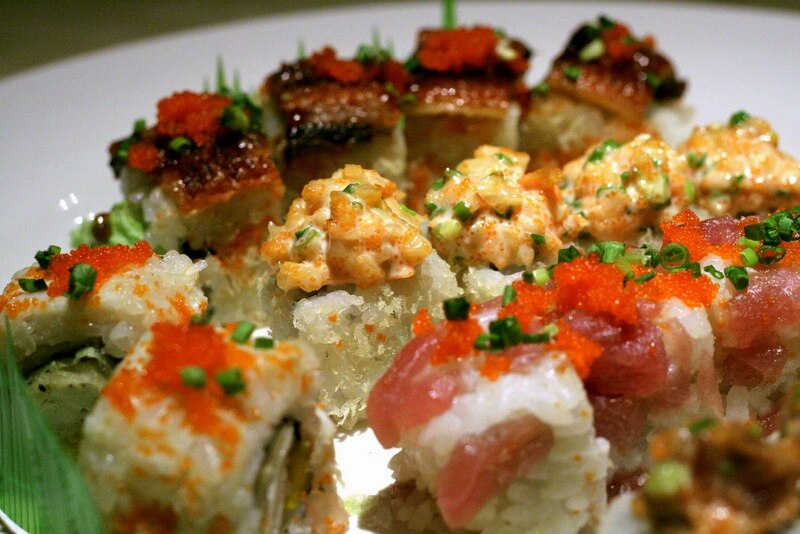 What if you had a free hand to decide what goes in your maki? As part of discovering new possibilities and to highlight its famous sushi selection, Red Kimono, in partnership with Destiny Cable, Speedo, Nike Park, Mossimo, Sanuk and Curves salutes its 5th year with the “My Maki Masterpiece Challenge”. Participants are encouraged to think out of the box – using unusual ingredients and taking inspiration from any type of cuisine – not necessarily Japanese. Makis are very easy and fun to make so even people who have never cooked may enter the contest. There are no restrictions whatsoever except that it must be a “roll”. A video demo is enough to learn the technique! Those who are interested to learn may visit Red Kimono Restaurants on Facebook to view a short demo done by a Red Kimono sushi chef. Entries will be accepted starting June 25. Participants are required to submit a recipe, a photo of the finished Maki and a title for it. From all entries received, 10 will be pre-selected, and on one special evening hosted by Issa Litton on July 31, the 10 finalists will be brought down to the 5 best makis chosen based on each recipe’s taste, creativity and presentation. Six prominent personalities namely, actress, model, entrepreneur and jewellery designer Tweetie De Leon Gonzalez, Chairman of the Philippine Marketing Association Ricky De Vera, from Philippine Wine Merchants and Ralph Wines & Spirits and also a popular DJ on 99.5RT Rob Joseph, Cultural activist and artist/performer - Carlos Celdran, Dean of Enderun College - Dr. Edgardo Rodriguez and Head of ABS CBN Publishing Ernie Lopez, will decide the 5 winners of this exciting contest. The 5 winning makis will earn a place in Red Kimono’s Maki Masterpiece menu and will receive P5,000 in cash and P5,000 in Gift Certificates from Red Kimono. There will be an online guessing contest on Facebook from July 26-30 after the deadline of submission of entries. The 10 shortlisted Makis with their descriptions and photos will be displayed on Red Kimono’s Facebook page. The first participant to guess the 5 winning makis will receive P5,000 worth of Red Kimono Gift Certificates. What started as a vision back in 2005, Red Kimono now stands out as one of the most successful restaurant chains known for their great tasting food, high quality service and amazing value. ‘Red’ symbolizes the modern, Western and innovative qualities while ‘Kimono’ represents the Eastern and traditional aspects of the brand. With its remarkable success, Red Kimono has expanded over the years with seven branches across the metropolis, Cebu and Pampanga. In gratitude to its patrons, Red Kimono will be offering a 25% discount on all items from its Maki Masterpiece menu from July 5-31, 2010. Get a taste of classic Japanese mixed with contemporary flavours only at Red Kimono! Entries may be submitted from June 25 till July 25 via email at mymakimasterpiece@gmail.com or they may be dropped off in CD format at any Red Kimono branch. Indicate Name, contact numbers, email address and the inspiration behind your creation. In order to join the My Maki Masterpiece Challenge Facebook contest, participants need to become a fan of Red Kimono Restaurants on Facebook. 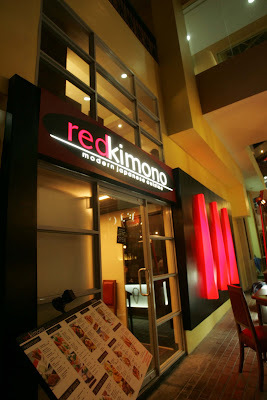 Visit www.redkimono.com.ph for details and contest mechanics. Call 09178225757 or 5778382 for inquiries.